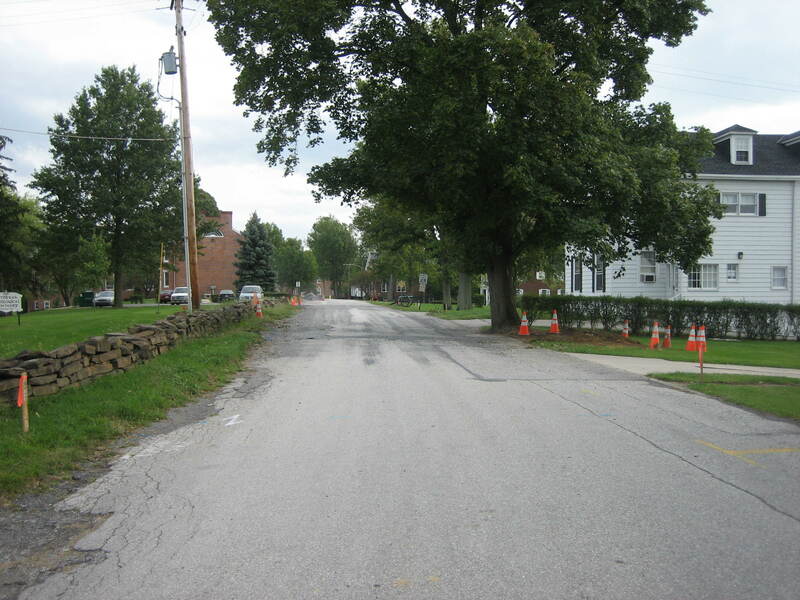 Road work began this week on Seminary Ridge Avenue. Pipes will be replaced and the road resurfaced. Schmucker Hall, or Old Dorm, on the campus of the Seminary is in the background. This view was taken from the northwest facing southeast at approximately 5:00 PM on Tuesday, September 16, 2008. 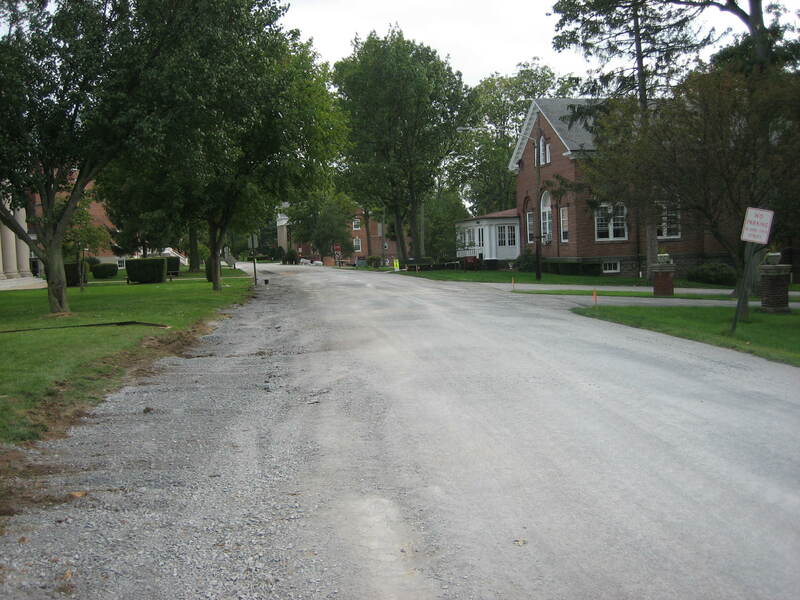 Seminary Ridge Avenue will be closed on and off for the next couple of weeks as pipes are replaced and the road is resurfaced. 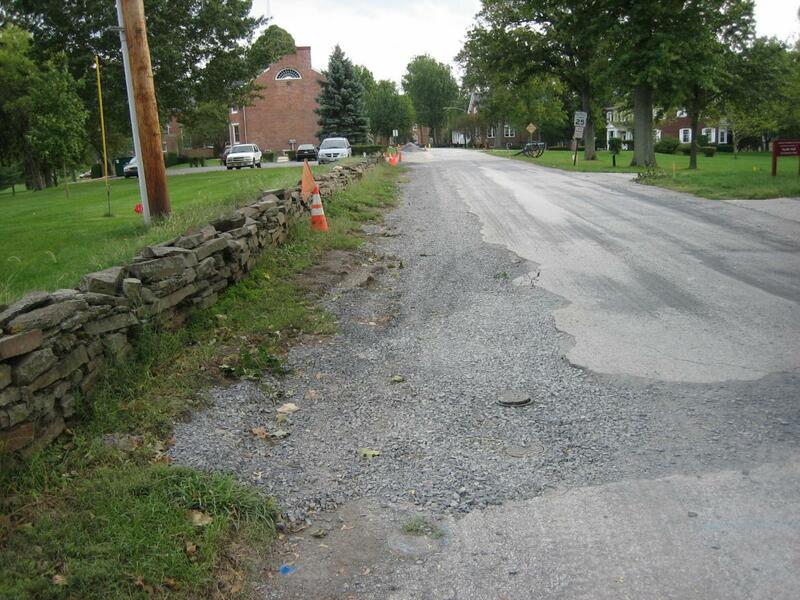 Work began this week and currently involves the north side (Chambersburg Pike side) of Seminary Ridge Avenue. Seminary Avenue, of course, runs along the crest of Seminary Ridge. 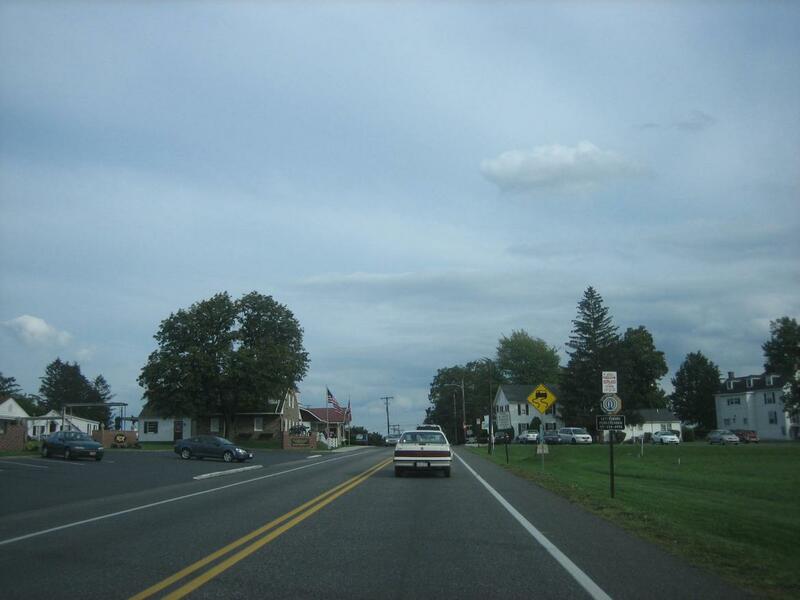 We are driving east on US 30, the Chambersburg Pike, towards Gettysburg. The Mary Thompson House (General Robert E. Lee’s Headquarters) is the stone structure on the left side of the road near the United States flag. This view is from the west facing east at approximately 5:00 PM on Tuesday, September 16, 2008. 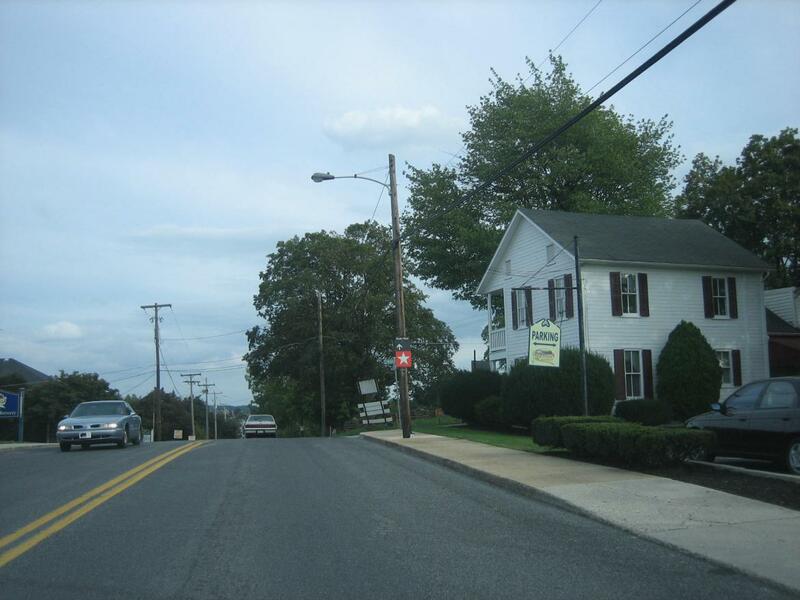 The James Thompson House is the white structure on the right side of the road. Visitors familiar with Gettysburg do not follow the auto tour sign that directs visitors to continue straight on the other (east) side of Seminary Ridge before making a right on Hay Street. Visitors familiar with the area take a right on the east side of the James Thompson House onto Seminary Ridge Avenue. This view is from the west facing east at approximately 5:00 PM on Tuesday, September 16, 2008. During the day, however, this road has been closed. The Charles Krauth House is shown in the left background. View is from the north facing south at approximately 5:00 PM on Tuesday, September 16, 2008. Most of the pipe work is on the east side of the road. View from the north facing south at approximately 5:00 PM on Tuesday, September 16, 2008. 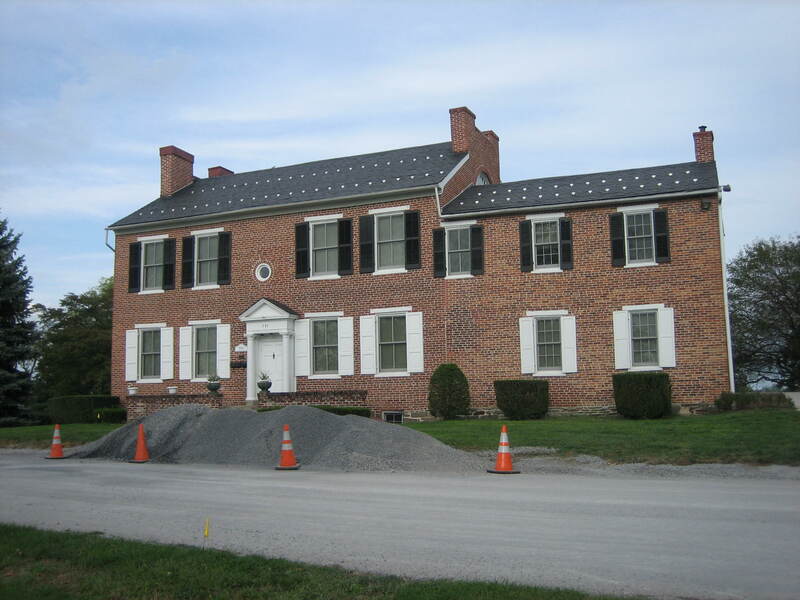 The largest gravel pile along the road is in front of the Krauth House. View from the southwest facing northeast at approximately 5:00 PM on Tuesday, September 16, 2008. Near the Krauth House, the construction has significantly widened the road. View from the north facing south at approximately 5:00 PM on Tuesday, September 16, 2008. 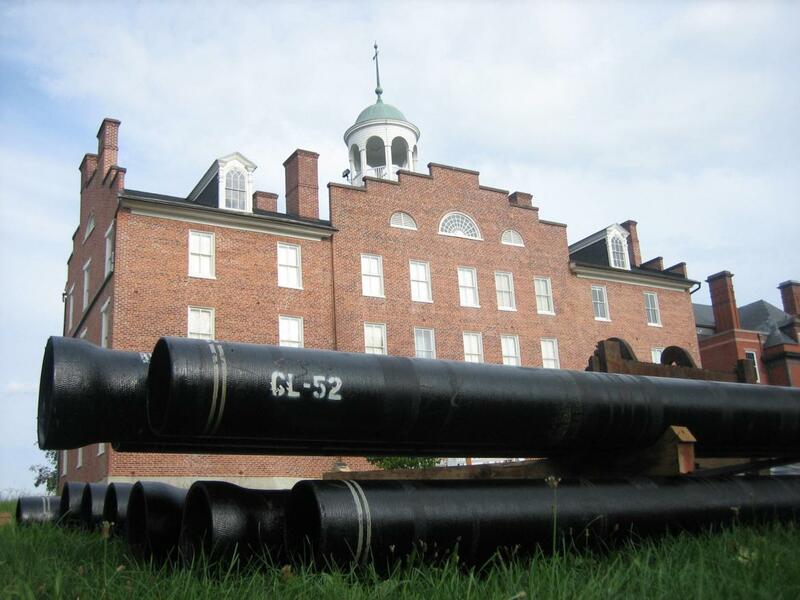 Most of the new pipes are on the west side of Seminary Ridge Avenue near Schmucker Hall. 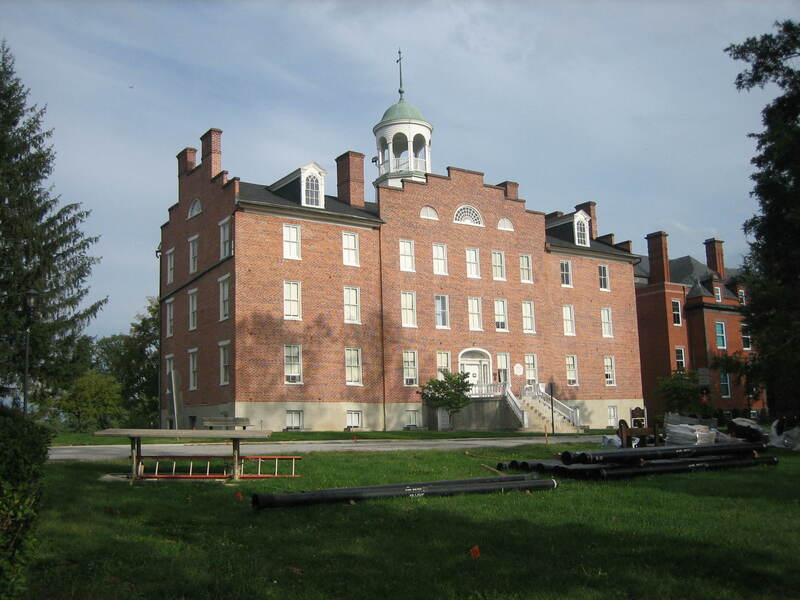 See our post on the Adams County Historical Society’s Civil War Research Center, located in Schmucker Hall, on June 20, 2008. View is from the northwest facing southeast at approximately 5:00 PM on Tuesday, September 16, 2008. 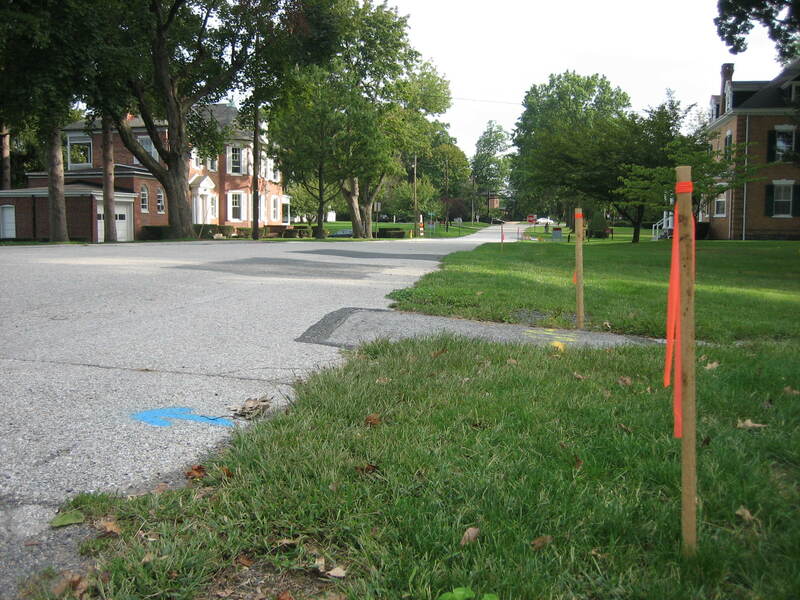 When the work continues south of Schmucker Hall, it will involve digging into the grass on the west side of Seminary Ridge Avenue. View from the north facing south at approximately 5:00 PM on Tuesday, September 16, 2008.